The SAF relies heavily on a large pool of conscripts in the active and reserve forces. It has an active strength of around 71,600 personnel and is capable of mobilising over a million reservists. National Servicemen (NSmen) make up more than 80% of its military defence system and form the backbone of the SAF. During World War II, the SSVF took part in the Battle of Singapore but most of its members were captured on 15 February 1942 when their positions were overrun by Japanese forces. After the end of the war, the SSVF was re-constituted in 1948, but the SVF was absorbed into the Singapore Military Forces (SMF, predecessor of the SAF) following the disbandment of the SSVF in 1954. Subsequently in 1961, SMF was renamed to Singapore Armed Forces (SAF). Singapore Armed Forces Day is commemorated by the SAF annually on 1 July, with a parade held at the Singapore Armed Forces Military Institute or SAFTI. According to military and strategic analysts, such as Tim Huxley in Defending the Lion City, Singapore is known to be using a forward-defence military doctrine. Singapore is, after all, a very small island (693 km2) and it lacks the space for a Defence in depth strategy. Therefore, if a serious military battle were to take place on the island of Singapore the effects would be devastating to both the people and infrastructure. Press statements from Singapore's Ministry of Defence (MINDEF) describe the SAF as a deterrent force. The SAF's declared mission statement is to "enhance Singapore’s peace and security through deterrence and diplomacy, and should these fail, to secure a swift and decisive victory over the aggressor". Today, a career military force of 38,700 is supplemented by 42,800 men on active National Service duty, the latter generally filling up the lower ranks. This group of just over 80,000 officers and servicemen/women staffs the command structure, advises the government, manages the bases, teaches at the tri-service SAFTI Military Institute, flies the on-call jets, crews the ships on-patrol and stands watch over the straits. They comprise both the top command structure and what might be called the "Standing Forces" which can go into a humanitarian relief or combat situation instantly. The main force actually comprises 400,000 or so Operationally-Ready National Servicemen (ORNSmen). This is the full mobilization force that can be called up within a few days. They are the 10-year ORNSmen with regular training and call-up cycles. Full sets of light equipment stands ready for them in armories and heavy equipment for their units is maintained in dedicated bunkers. Singapore is very high tech and individuals can be reached almost instantly; thus the system is highly flexible, so only the units and numbers needed for a particular task can be summoned. If called up they would be integrated into, augment and dramatically expand the "Standing Forces" up to five times its peacetime size, fully staffed and equipped, while maintaining a cohesive structure. The SAF's policy towards Malays, who share religion and ethnic ties with Singapore's largest neighbours, Malaysia and Indonesia, has been a source of controversy over the years. Malays were virtually excluded from conscription from the beginning of the draft in 1967 until 1977 and, after the policy was eased, were assigned mainly to serve in the police and civil defence (fire brigade), not active combat roles. In 1987, Lee Hsien Loong (then Second Minister for Defence) stated that "If there is a conflict, if the SAF is called to defend the homeland, we do not want to put any of our soldiers in a difficult position where his emotions for the nation may be in conflict with his religion" and in The Roar of the Lion City (2007), military analyst Sean Walsh claimed that "official discrimination against the Malay population remains an open secret". The Ministry of Defence contests the charge, noting that there are "Malay pilots, commandos and air defence personnel" and stating that "the proportion of eligible Malays selected for specialist and officer training is similar to the proportion for eligible non-Malays." Women are exempt from full-time National Service, but can sign on as a career regular soldier in both combat and non-combat roles, some as combat officers, but mostly in clerical and logistic positions in the earlier years. The range of positions available to women has been expanded gradually, with some exceptions in vocations. In July 2007, the SAF held an exhibition highlighting the contributions of women in the armed forces. Annual women career seminars are conducted to inform Singaporean women of careers in the SAF facing competitive factors in the labour force. In recent years, some women in SAF have taken higher positions, more notably, with BG Gan Siow Huang being the highest ranking female officer, and the first female General in the SAF. PES A and PES B1 (combat-fit) recruits go through a nine-week Basic Military Training (BMT) program, held either at the Basic Military Training Centre (BMTC) on the offshore island of Pulau Tekong, or at various military battalion units that directly take in recruits via mono-intake route. Recruits who are considered obese, are required to attend a 19-week PES Bp BMT weight-loss program. PES B2 formally PES C1 (fit for some combat vocations) recruits will go through a nine-week modified BMT programme at BMTC. PES C (non-combat-fit) recruits undertake a nine-week modified BMT program in BMTC as well as in BMTV ( Basic Military Training Vocational) for various vocations as combat service support personnel, and PES E recruits undergo a four-week modified BMT program at Kranji Camp 3 for trainings to a combat service support vocation posting. Due to land space limitations on Singapore's territorial land and waters, some specialised training programmes and facilities are located overseas. 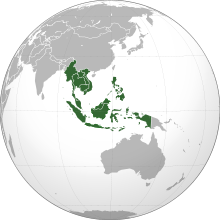 Singapore is part of the Five Power Defence Arrangements, whose other members include the United Kingdom, Australia, New Zealand and Malaysia. 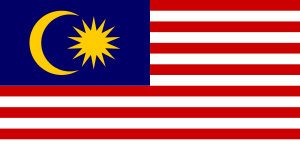 Designed to replace the former defence role of the British in Singapore and Malaysia, the arrangement obliges members to consult in the event of external threat against Malaysia and Singapore. Singapore's defence resources have also been used for international humanitarian aid missions. They included United Nations peacekeeping missions in areas such as Kosovo, Kuwait and East Timor, participation in the Multi-National Force – Iraq, sending military equipment and personnel to assist in the humanitarian rescue and relief efforts in the United States after Hurricane Katrina, and establishing medical and dental assets for use by the Afghan people. Several of the SAF's top officers have thus overseas operational military experience. not more than four other members as the President may appoint if the President, acting in his discretion, concurs with the advice of the Prime Minister. The SAF is headed by the Chief of Defence Force (CDF), a three-star General (i.e. 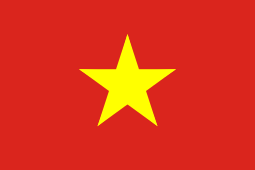 Lieutenant General) by establishment and the sole and only (active) SAF General that can be promoted or hold three-star rank; he is assisted by the three chiefs of the respective services (Army, Airforce, Navy), who are two-star generals/admirals by establishment (or Major-General/ Rear-Admiral). The SAF has a Sergeant Major who currently holds the rank of CWO. The CDF is supported by various staff from branches such as the Joint Operations and Planning Directorate, the Joint Manpower Department, the Joint Logistic Department, the Military Intelligence Organisation and the Foreign Military Liaison Branch. 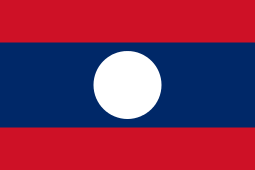 The position of the Chief of the Defence Force was established in 1990. Winston Choo, as head of the defence forces was previously known as Chief of General Staff. Supporting the combat role of the SAF, are other governmental organisations of the Ministry of Defence (MINDEF), such as the Defence Policy Group, the Defence Management Group, the Defence Industry and System Office and the Defence Research and Technology Office. Within these groups are the Defence Science and Technology Agency (DSTA), the Central Manpower Base (CMPB), and the Military Security Department (MSD). Domestic technology companies also play a role in building up Singapore's military capabilities, particularly the government-linked ST Engineering (formerly known as Chartered Industries of Singapore), which designed and built some of the SAF's more advanced weaponry and equipment based on specific local requirements which may be expensive for foreign companies to adapt and produce. The Special Operations Task Force, composed of the selected members of the Special Operations Force, SAF Commando Formation, Naval Diving Unit and other forces integrated under one command, is formed to combat common terrorist threats. The notion of Special forces as with the SOTF was made public in 2009 when the integrated unit was formed. The practice and theory of Special Forces have been discussed in the inaugural monograph published by Pointer (journal), Key Perspectives on Special Forces. The monograph was edited and developed by former Commando Officer Kwong Weng Yap. ↑ Singapore's Military Budget & Expenditure 2013 Archived 19 April 2014 at the Wayback Machine. 1 2 "NS Matters - Home". Retrieved 12 September 2015. ↑ "History of Singapore Artillery". Ministry of Defence, Singapore. 13 November 2006. Retrieved 17 September 2008. ↑ Barzilai, Amnon. "A Deep, Dark, Secret Love Affair". University of Wisconsin (originally published by Haaretz, July 2004). Retrieved 24 August 2012. ↑ Tim Huxley (2000). Defending the Lion City: The Armed Forces of Singapore. St. Leonards, N.S.W. : Allen & Unwin. ISBN 981-04-9157-3. ↑ "Speech by Minister for Manpower & Second Minister for Defence Dr Ng Eng Hen, at The International Defence Procurement Conference 2008". Ministry of Defence, Singapore. 18 February 2008. Retrieved 17 September 2008. 1 2 A Question of Loyalty: Ethnic Minorities, Military Service and Resistance by Alon Peled, 3 March 1993. Seminar Synopses of the Weatherhead Center for International Affairs, Harvard. Archived 6 September 2006 at the Wayback Machine. ↑ Straits Times, 2 April 1987. 1 2 3 Sean Walsh (2007). "The Roar of the Lion City: Ethnicity, Gender, and Culture in the Singapore Armed Forces". Armed Forces & Society. 33 (2): 265. doi:10.1177/0095327X06291854. ↑ "US soldier takes potshots at SAF". Today. 12 March 2007. Archived from the original on 16 July 2007. Retrieved 17 September 2008. 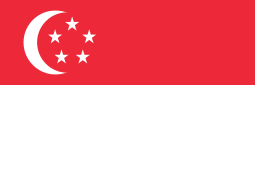 ↑ Singapore: Recruitment and Training of Personnel. Country Studies Series by Federal Research Division of the Library of Congress. ↑ Women in the Armed Forces Exhibition – The Spirit of Patriotism Archived 6 June 2007 at the Wayback Machine.. Mindef.gov.sg. Retrieved on 20 May 2012. ↑ "Chan Luo Er, SAF promotes first female to Brigadier-General rank, (26 Jun 2015), Channel NewsAsia. Retrieved 8 Oct 2016". ↑ "SAFVC Index Page". Retrieved 12 September 2015. ↑ "Strengthening NS". Retrieved 12 September 2015. ↑ "Enlistment Act". Retrieved 14 September 2010. ↑ Minchin, James. No Man is an Island, p. 227. Allen & Unwin Australia, 1986. ↑ "Singapore to join coalition against Islamic State". AFP. Retrieved 4 November 2014. ↑ "Peacekeepers : In the Service of Peace". Archived from the original on 23 December 2005. Retrieved 1 May 2006. ↑ "Singapore to send 192 military personnel to Iraq". Agence France Presse. 27 October 2003. Retrieved 17 September 2008. ↑ Ashraf Safdar (16 May 2007). "SAF to provide medical aid, set up dental clinic in Afghanistan". Channel NewsAsia. Retrieved 17 September 2008. ↑ The Singapore Army – News Archive – New SMA Appointed; former SMA becomes SAF SM. Mindef.gov.sg. Retrieved on 20 May 2012. ↑ gov.sg – Directory. 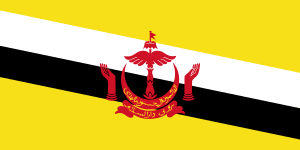 App.sgdi.gov.sg (28 September 2010). Retrieved on 20 May 2012. ↑ gov.sg – Directory. 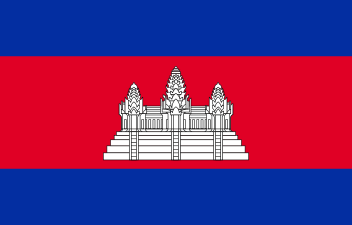 App.sgdi.gov.sg. Retrieved 20 May 2012. ↑ . Kwong Weng Yap (Ed.) (2009). "Key Perspectives on Special Forces". Pointer (journal): Journal of the Singapore Armed Forces. Mindef.gov.sg. Retrieved 15 Oct 2015. ↑ Da Cunha, Derek (2002). Singapore in the New Millennium: Challenges Facing the City-State. Singapore: Institute of Southeast Asian Studies. p. 145. ISBN 981-230-131-3. ↑ "MINDEF – The 3rd Generation SAF". MINDEF. Retrieved 25 February 2008. ↑ Singapore Defence and Security Report Q1 2009 (Report). Business Monitor International. 2009. ↑ News – Lunch Talk on "Defending Singapore: Strategies for a Small State" by Minister for Defence Teo Chee Hean (21 Apr 05) Archived 6 August 2013 at the Wayback Machine.. MINDEF. Retrieved on 20 May 2012. ↑ cyberpioneer – News – Features of the new SAF combat uniform. Mindef.gov.sg. Retrieved on 20 May 2012. "Structure of the SAF". Ministry of Defence (Singapore). Retrieved 26 July 2007. "Singapore Budget 2004". Ministry of Finance (Singapore). Retrieved 4 March 2005. "Key Stats – Annual Statistics". Singapore Department of Statistics. Archived from the original on 3 March 2005. Retrieved 4 March 2005.